Instead of waiting for the nearby pond to freeze over or battling for space at your local ice rink, you should build a backyard ice rink! A recent study claims nearly 10.65 million people over the age of six participate in ice skating. Not only does a backyard ice rink ensure you’ll always have access to skate, you’re only feet away from all the snacks of your kitchen. Here are a few dos and don’ts on how to make a homemade ice rink. Homemade ice rinks usually consist of a few basic features: a board system, ice rink liner, ice rink resurfacer, and ice rink brackets. The liner is what the ice will rest on -- this prevents damage to your grass and gives the rink a contained environment. Buy a double-sided white liner to keep your ice cold and reflect the sun. Dark tarps or liners will absorb heat more readily, making it hard for ice to form and last. The brackets will keep your rink in place and the board system will prevent flooding in your lawn when the ice melts. Having a handy resurfacer will keep your ice rink smooth and flat, making it safe to skate on. You can make an ice rink yourself if you have the time and tools, but there are plenty of affordable options if you want to buy it instead. 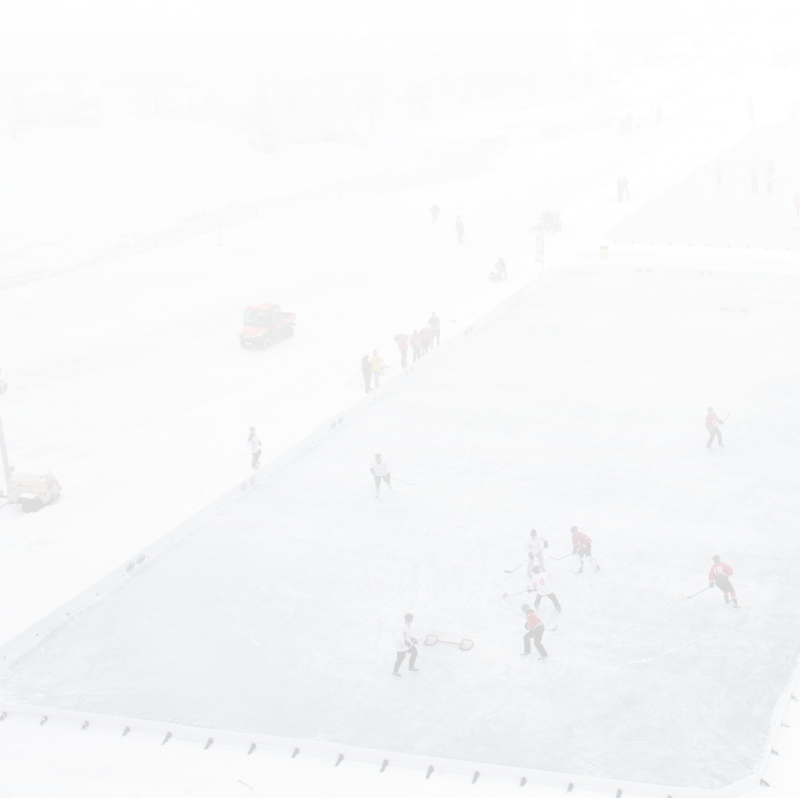 A common recommendation is to simply make an ice rink out of a nearby pond. This, however, can be more effort than it’s worth. A pond a possible source for danger: if the ice cracks and someone falls through, it is recommended you call for help instead of attempting to save the person that fell. Instead of risking your life, have control over the area you hope to skate on. Backyard rinks are a controlled environment and are only as thick as the amount of water you fill it with. Additionally, a pond might not be the size of the rink you were hoping for -- if you choose to build your own home ice rink, you can control how long or wide it is. Resurfacing is different than the initial fill -- resurfacing your ice rink only requires a small amount of water right from your garden hose. This will fill in any cracks and keep your ice rink smooth. Though it may seem like a good idea, filling your rink in layers actually weakens the ice, not strengthens it. This is because the ice may freeze at different temperatures, damaging the structure of your rink. Unfortunately, snowfall won’t make your rink stronger. It’s more likely that the snow behaves like an insulator and create an uneven surface on your rink. Clear it away with a shovel or broom and repair any scratches or holes by resurfacing. If at any point during your ice rink building process you feel like you need help, don’t hesitate to call a professional. Whether you buy a rink from a reputable source or simply need a quick bit of advice, rink professionals often carry backyard ice rink accessories to help you build a backyard ice rink. It might seem daunting to build a backyard ice rink, but relying on this list of dos and don'ts will help you get started.